Also, can you grow the plant indoors? I make small gardens to grow indoors. 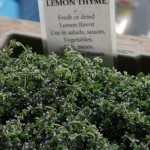 Can you do that with Elfin thyme? I purchased the plant but the pot is too big, so can I split it up?